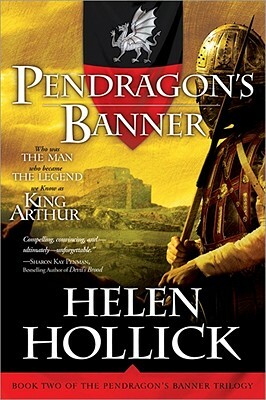 At age twenty-four, King Arthur has the kingdom he fought so hard for and a new young family. But keeping the throne of Britain--and keeping his wife and three sons safe--proves far from easy. Two enemies in particular threaten everything that is dear to him: Winifred, Arthur's vindictive first wife, and Morgause, priestess of the Mother and malevolent Queen of the North. Both have royal ambitions of their own. "Stripped of its medieval trappings, the story of Arthur's rise loses none of its legendary power... this is a] well-researched, skillfully constructed trilogy opener." Helen Hollick lives in northeast London with her husband, daughter, and a variety of pets, which include several horses, cats, and two dogs. She has two major interests: Roman/Saxon Britain and the Golden Age of Piracy--the early eighteenth century.